I remember way back in the early 1990’s; there were a lot of lands staked in Labrador as prospectors were looking for diamonds. A gruelling series of surveys of 25,000 kilometres of the Labrador landscape culminated to the spotting of a rusty zone on one of the outcrops. Chris and Al began to take samples and realized that the site was promising. Geologist Rod Baker worked for Diamond Fields in 1993, and he headed to Labrador only to discover that Al and Chris had already staked the best prospect lands for diamonds. Unstoppable and determined the prospecting pioneers joined forces and collaborated to explore the Archean play together. Diamond fields acquired Archean Resources claims and together they started an exploration program that was geologically sound and entrepreneurially driven. Diamond Fields funded a geophysical survey and drilling program for the following year. It was then that the true extent of the deposit became apparent. A survey of 500 samples, weighing 200 kilograms each, were taken and screened for their potential. That work and those great minds led to a game-changing, life-altering, mining bonanza now known as Voisey’s Bay. In the fall of 1994, the Archean/Diamond Fields drilling team hit yellow drill core; not yellow core from gold, not even from diamonds, but gold from massive ore sulphides. It was an incredible discovery and beyond what anyone could have imagined. 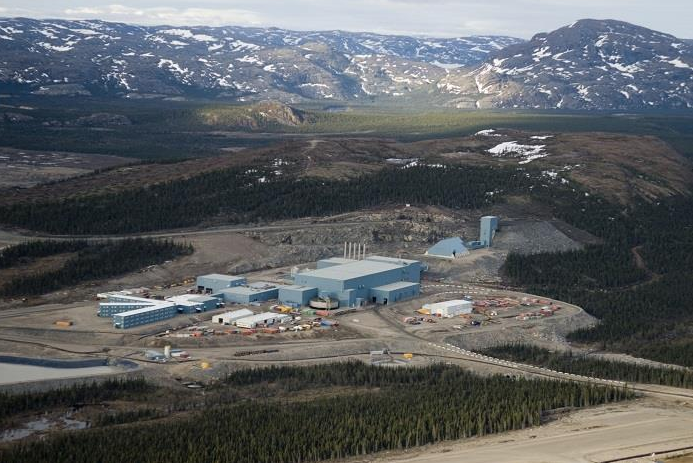 The world-class nickel discovery sent shock waves around the globe as it was one of the most significant mining discoveries in Canada at 141 million tonnes, located in Voisey’s Bay, Labrador. That nickel discovery exploded the mining community in Newfoundland and Labrador. Junior mining companies from all over the world, but mostly from Vancouver, fell over themselves trying to strike it rich as they feverishly staked claims in Labrador around the Archean play. I remember those early days of 1994 well. Al Chislett and Chris Verbisky became overnight millionaires. 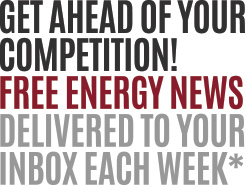 Junior mining firms were staking claims and playing the penny stock game. A lot of Newfoundlanders made a lot of money getting in on Voisey’s Bay stock early on in the game. A lot of Newfoundlanders also lost a lot of money on the penny stock plays. Lesson learned. 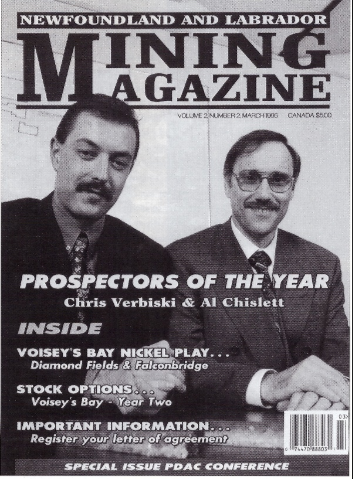 Early 1990’s – A vintage copy of The Newfoundland and Labrador Mining Magazine with Chris Verbiski and Al Chislett on the front cover. The Voisey’s Bay project proved bigger than anyone had ever dreamed. So big that it required a world-class nickel operator to delineate the mine. And so it was, on March 26, 1996, Inco announced a takeover bid of $4.5 billion for Diamond Fields. On April 3, 1996, the deal was officially signed by all parties, and Inco became the new owner-operator of the Voisey’s Bay project. The nickel open-pit mining began in Voisey’s Bay in 2005. The ore from Voisey’s Bay was sent to market and also for processing. Ore was transported by the icebreaking cargo ship named the “Umiak 1”. Nickel concentrate was transported to the Long Harbour processing plant on the Avalon Peninsula of Newfoundland, 50 minutes from the capital city, St. John’s. Voisey’s Bay continues to be a powerful and profitable project for the operator, industry stakeholders, suppliers, investors and the people working on the project. 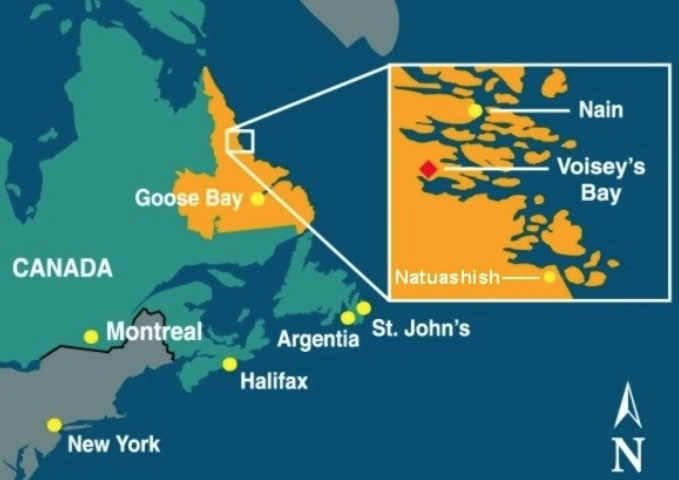 The Newfoundland and Labrador government estimates the value of the project will contribute $20 billion or more, to the province’s gross domestic product, during the 30-year life of the field. The Vale SA business strategy is to invest in world-class assets capable of creating value through the cycles and which have a long life, a low cost, the potential to expand and ensure high-quality production making Voisey’s Bay nickel an ideal project for their portfolio. In 2006, Inco was acquired by Vale for nearly $20 billion. Vale S.A. is a Brazilian multinational corporation engaged in metals and mining and one of the largest logistics operators in Brazil. Vale is the largest producer of iron ore and nickel in the world operating and is currently operating around the globe in over 30 countries. Vale’s net income in the first quarter of 2018 was $1.6 billion. An increased price for nickel and coal as well as the flexibility of the supply chain were factors in their stellar performance. Ultimately this level of achievement resulted in a dividend return to shareholders of $1.4 billion in March 2018. Voisey’s Bay minerals have been a significant contributor to Vale’s success. Now they intend to build on that. Most mega-projects tend to be bigger than initially predicted. That’s proven to be the case in Newfoundland’s offshore oil and gas projects as well as with this mega-nickel deposit. 13 years later the Voisey’s Bay mine has proven to be worthy of additional delineation below ground and on June 11, 2018, Premier of the province of Newfoundland and Labrador, Dwight Ball announced that Vale is moving forward with its underground mine at Voisey’s Bay which will extend the overall life of the project by at least 15 more years. Exploration around the Ovoid Deposit of the Voisey’s Bay has identified two significant finds; the Reid Brook and Eastern Deeps which are located between 200 m to 900 m underground. The construction phase, necessary to build the mine and access the deposits underground is now sanctioned and will bring first ore to surface in 2021. The mine will be producing until 2034. Over the five-year construction phase of the underground mine, more than 16,000 person-years of employment will be created. The new underground mine requires a capital investment of $2.2 billion in project construction expenditures. As a brownfield project, the mine expansion will use the existing concentrator, port, and support facilities, as well as the Long Harbour Processing Plant, leading to reduced implementation risks. US$ 100-150 million in 2018, US$ 300-350 million in 2019, US$ 450-500 million in 2020 and 2021, US$ 150-200 million in 2022 and less than US$ 50 million in 2023. During 2021 and 2022, the Ovoid open pit is expected to produce an average of approximately 0.8 ktpa of refined cobalt, at average grade of 0.08% cobalt. During the initial ramp-up period of 4 years, commencing in 2021, VBME is expected to produce an average of approximately 1.8 ktpa of refined cobalt, at average grades of 0.15% cobalt. When operating at full scale, from 2025 to 2033, the underground mine is expected to produce an average of 2.6 ktpa of refined cobalt, at average grade of 0.13% cobalt. Voisey’s Bay has total estimated mineral reserves of 32.4 million tonnes with a nickel grade of 2.13% and a cobalt grade of 0.13%. The open pit reserves and resources consist of the Main Ovoid, the Mini Ovoid and the SE Extension. The underground reserves and resources include of Reid Brook and Eastern Deeps. Of the total estimated mineral reserves, the underground reserves contain 23.6 million tonnes with a nickel grade of 2.17% and cobalt grade of 0.14%. A true visionary and pioneer, prospector Albert Chislett passed away April 2018, following a lengthy illness at the early age of 69. 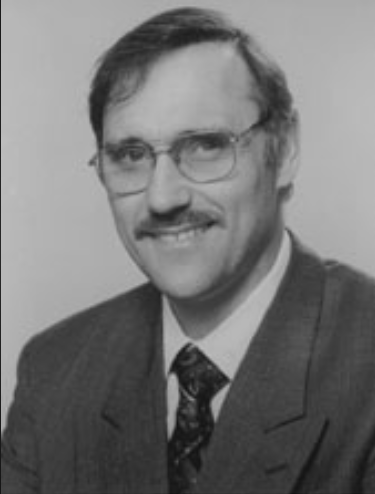 In 1993, having staked claims in a lucrative region of Labrador, Al discovered the Voisey’s Bay nickel deposit along with partner Chris Verbiski. Both were working with Diamonds Fields Resources Limited at the time. These pioneers are the reason we are where we are today: A global mega-project that is world class by all standards – Voisey’s Bay. We will always be grateful for Al’s incredible contribution. Al Chislett was born and raised in Islington, Trinity Bay, but in recent years resided in CBS, Newfoundland. He leaves an incredible legacy in Newfoundland and Labrador. 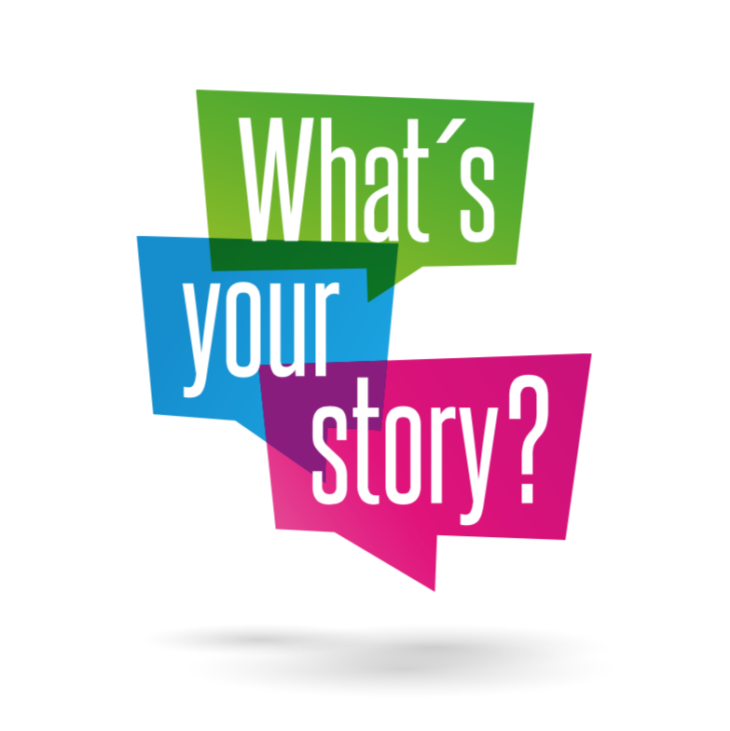 If you would like to create content for the new digital era please let us know. We will architect your digital path and get your message to the market in new and creative ways! 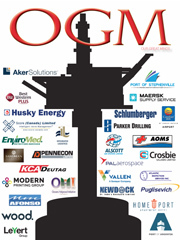 We will have an OGM representative contact you with a free consult! TINA OLIVERO: Publisher & Content Strategist for clients worldwide.